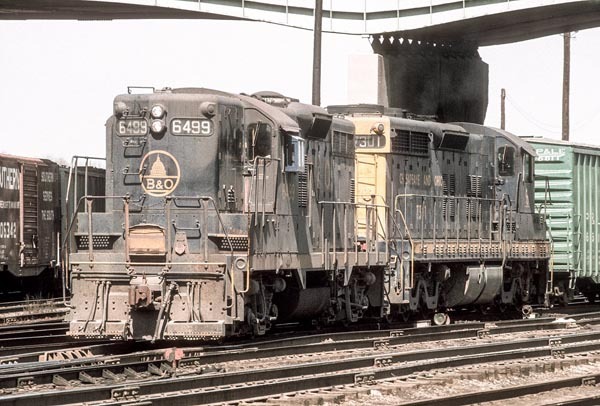 Baltimore & Ohio GP9 No. 6499 and Chesapeake & Ohio SD18 No. 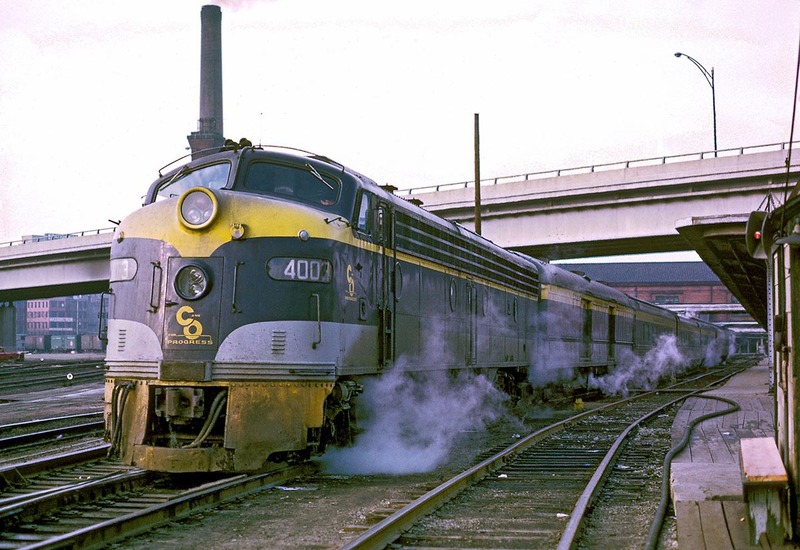 7301 during the Chessie System era. 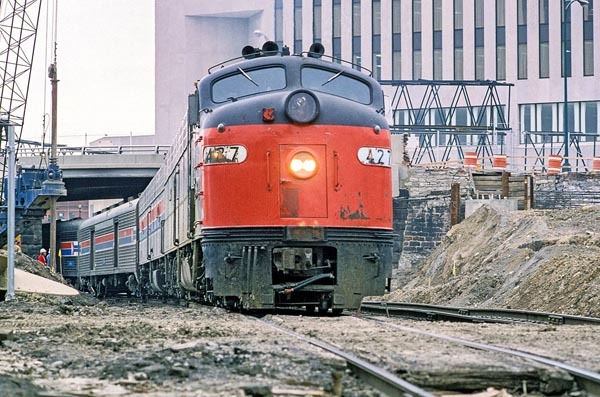 The C&O “Puller” is passing US Tower headed toward the Conrail bypass around the south side of Columbus Union Station. The I-670 Bridge is overhead. Photo by Jon Bentz, 1977. 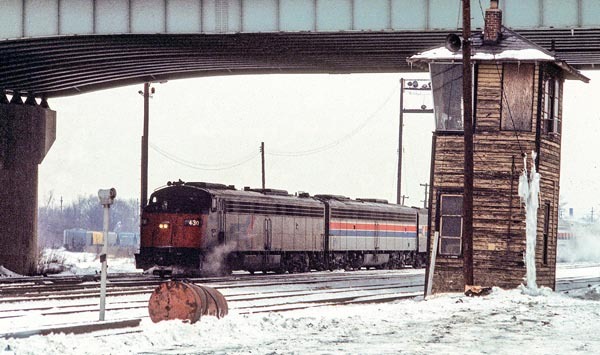 Conrail, ex-PRR, SD9 No. 6918 and a GP9 are shoving hard on the rear of a freight headed northbound up the Big Four toward Worthington. The US Tower switch tender shanty is next to the I-670 Bridge pier. It’s thought the helpers were cut off around Oakland Park Avenue. Photo by Jon Bentz, 1977. LM Cabin when it was one of the last towers left in Columbus. 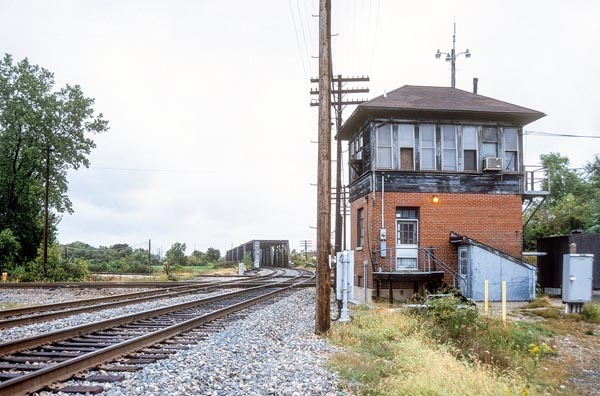 The tower was closed August 3, 2002 and the switches and signals were remotely operated. The camera is looking north toward the CSX (ex-C&O) five span bridge over the Scioto River. The double track Conrail (ex-PRR Xenia Line) is crossing the CSX track and beyond that another Conrail (ex-T&OC) track is crossing the CSX track. Photo by Jon Bentz, unknown date. Amtrak No. 427 westbound with the National Limited passing under Front Street. 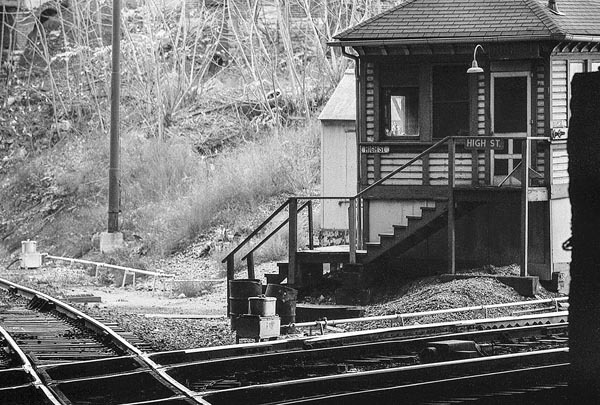 An early stone retaining wall still covered in coal smoke is visible to the right of the locomotive. This is the ex-PRR Bradford line. Photo by Jon Bentz, 1976. 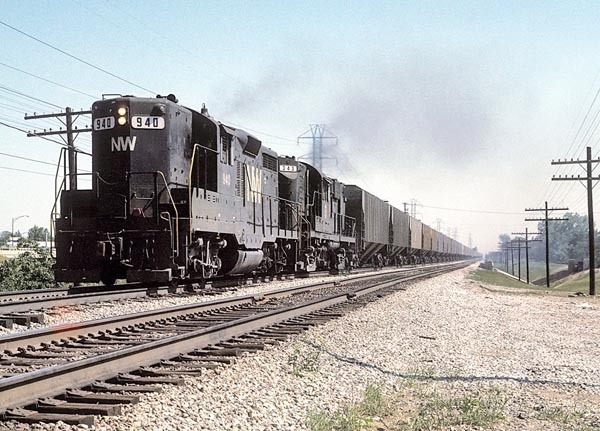 Norfolk & Western GP18 No. 940 and RS11 No. 343 are headed westbound up the Sandusky Branch with a grain train. 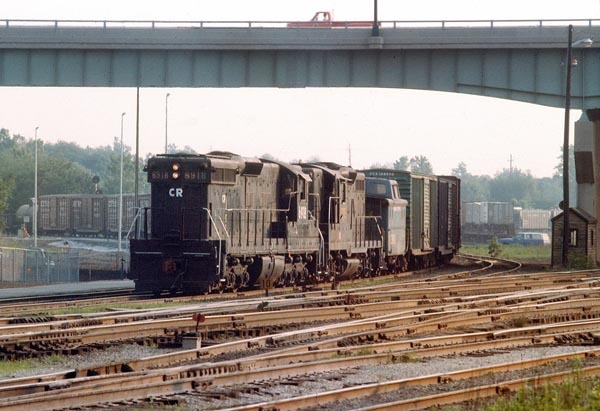 The Cooke Road underpass is visible between the N&W and the Penn Central (ex-New York Central) on the right. Photo by Jon Bentz, 1971. The Penn Central's High Street Tower looking west through the 'hole track' from Columbus Union Station. To the left is the ex-PRR’s Little Miami line to Dayton and to right the ex-PRR’s Bradford Line to Piqua. Photo by Jon Bentz, 1970.